As of October 1st The Mower Shop will be stockists of a new product aspen fuel. What is Aspen alkylate fuel? Aspen fuel is an alkylate solution which is a synthetically produced petrol component. The alkylation process takes place at oil refineries. Alkylate is formed from the excess gases produced in the distillation of crude oil and oil cracking. Alkylate is one of the cleanest petroleum products that can be produced. It is composed of up to 10 different components while regular petrol can contain 350 different components. The majority of alkylate produced in the world is used in regular pump fuel because it is free from aromatics and olefins. This helps to bring the fuel within the specifications which are allowed to be sold on the forecourts. What can Aspen fuel be used in? 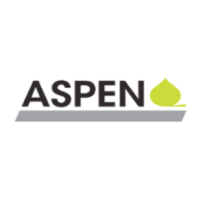 Aspen fuel can be used in any modern day engine and comes in both 2 stroke and stroke variants to cover a wide variety of machinery applications. For further information and testimonials visit the Aspen Fuels website by clicking here. To see a video explanation of Aspen fuels visit our product videos page here.